“These days a growing number of people, including men, are choosing anti-aging strategies to improve the appearance of fine lines and wrinkles. It’s always best to have these procedures performed by a professional such as myself because, despite the fact that the risks are minimal, there is a small risk of infection when these procedures are performed incorrectly. If you care about your appearance, you should trust your anti-aging care to a professional”. Why are so many people opting for anti-aging treatments? In today’s society, there is a lot of emphasis on how we look. People choose non-surgical anti-aging treatments such as Botox and dermal fillers to reduce the appearance of aging. Particularly in a competitive work world, where jobs can be scarce and no one’s career seems safe, appearing younger can be an advantage. This is why more and more men, in addition to millions of women, are choosing non-surgical procedures such as Botox to improve their appearance. Non-surgical anti-aging procedures are safer, offering far less down time than surgical options such as face lifts. It is possible to have Botox or dermal fillers and continue on with your day with no one the wiser. There is no need to miss work or hide in your home until bruising and swelling has faded, making these procedures a popular option for people who are busy and can’t afford to take time off for healing from traditional surgery. Botox and dermal fillers offer great results with no down time, no side effects and minimal if no risk when injected by a medical professional. If you are concerned about possible side effects such as a ‘frozen’ facial expression or an inability to smile, this is why I recommend having the procedure done by a medical professional such as myself. I have professional training as an artist and will treat your face as though it were a precious work of art. I also use the originally formulated and FDA-approved Botox, not the copycats that have come along. 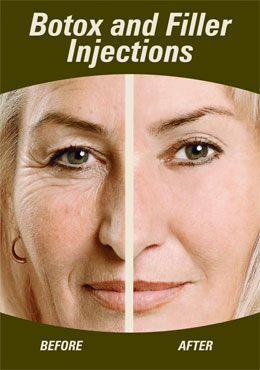 I know exactly where to place the injections to maximize your appearance, making you look years younger without making it obvious that you’ve had something done. Unfortunately, some medical doctors provide Botox with no specific training, such as foot doctors. Attending Botox parties is not recommended- allowing someone to inject your face, where important nerves lie just under the surface, who may have little or no medical training or a sterile environment, is always a bad idea. Most people will find the cost of surgical anti-aging procedures such as face lifts cost-prohibitive. Most people simply don’t have extra money put aside for pricey plastic surgery. This is why the popularity of anti-aging procedures such as Botox and dermal fillers has soared in the last decade- these procedures are highly effective and affordable for the average person. In most cases, insurance will not cover the cost of Botox or dermal fillers for aesthetic/cosmetic purposes (unless Botox is being injected for a medical reason, such as migraine, neck spasms or eyelid spasms). However, at Mill Basin Medical you will find that the cost of Botox injections and/or dermal fillers is quite reasonable and well within the reach of most. If you are interested in Botox injections or dermal fillers, make an appointment to come in and see me. I can examine the areas that are bothering you and together we can determine whether Botox or dermal fillers are right for you. Unhappy with wrinkles and fine lines? 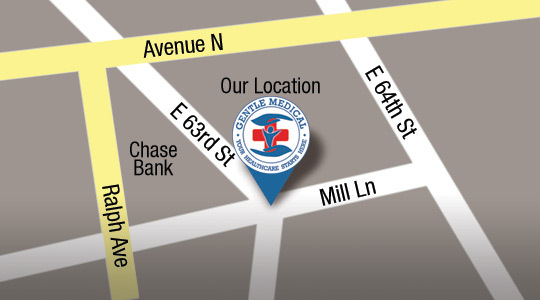 Make an appointment today and discover the Mill Basin difference. 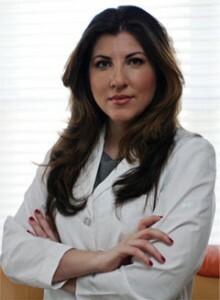 If you would like more information about the anti-aging services I provide, please visit www.goodlooksdoctor.com.